You know how sometimes you go to your closet in the morning and you find yourself torn between sleekness of your Star Trek uniforms and the flair of your 1920s throwbacks? Happens all the time. Well guess what, kids: PROBLEM SOLVED. Also: What to do when National Day just can't handle your new pixie cut? HAIR PRISON, that's what. This ensemble is a problem solver all around. And unexpectedly caps lock-y, too. 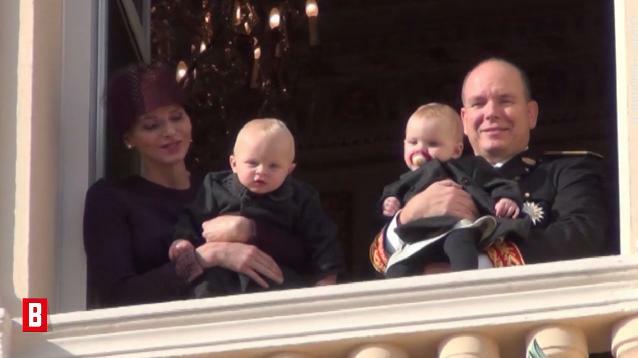 On the balcony with Jacques and Gabriella, who will celebrate their first birthdays soon. Granted, I have major weaknesses for Beatrice's style and for recent royal brides and for pink earrings, but I think she wins the day regardless. This is a chic ensemble (which I suspect is Armani, and which amusingly sports a dust ruffle of its own), nicely done without being overly done. 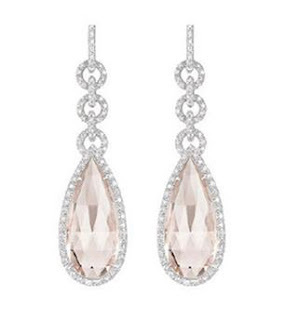 It leaves the flash to the Köchert earrings Beatrice wore for her civil wedding, which were reported to have been a gift from Princess Caroline. Magnificent. Click here for a gallery of the day's events, including the Duchess of Castro solving the age-old problem of which black and white pattern is best by opting for all of them.